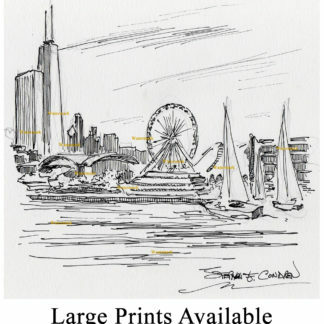 Chicago landmark #010Y pen & inks and prints • Condren Galleries Ltd.
Chicago landmarks #010Y in pen & inks are cityscape stylus sketches of cityscape monuments with JPEG & PDF scans and prints by artist Stephen F. Condren, BFA-SAIC, at Condren Galleries, a Fine Arts Gallery, with low discount prices and that are on sale, at cheap cost. 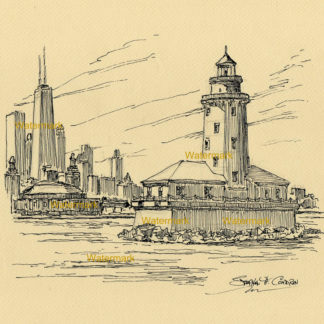 Cityscape are available as pen & ins, color pencil as well as in lead pencil, and watercolors. 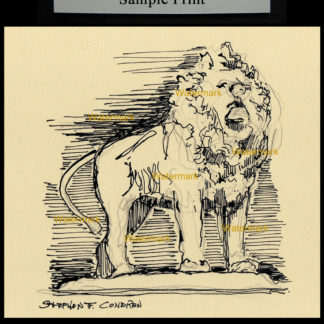 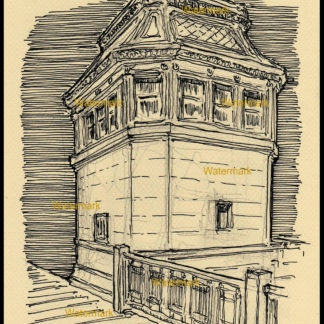 The best drawings are in pen & ink because they are bold and bring out the contour lines.